Whether in Africa, developed or developing countries, or particularly in Nigeria, some things in business never change. No matter where in the world you trade or do business, at the heart of every business decision is the need for reliable information. Credit and Business Information is CBS Credit business – and we‘ve driven its progress since 1992. We were the first to provide it in Nigeria. We pioneered its evolution and development in the country and we will continue to lead the market through constant technological human innovations. 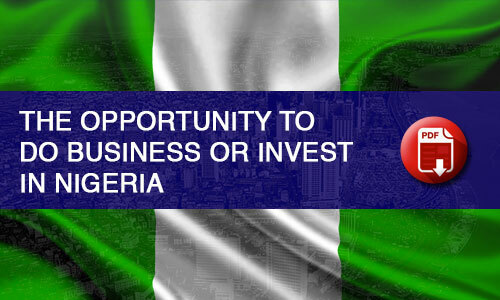 Potential business or trading partners in Nigeria are not always what they claim to be. Successful business relationship lies in the adequacy and reliability of credit and business information gathered. A business transaction is complete only when you have been paid for your products or services. That’s why it makes good business sense to assess the creditworthiness, business reputation and stability of any company you intend doing business with – and indeed, to keep regular check on your existing customer. In business, it’s not whom you know, but what you know. So, you need fresh information! Our highly trained Credit, Financial and Business Analysts examine the company on which you request for in-depth information and gauge their creditworthiness or good to do business with. This really takes the guesswork out of credit and business judgments. Known for its objectivity, insight and thoroughness, CBS Company Credit Report reveals information you need about a Nigerian company prior to taken business decisions. The report is highly detailed, featuring the business performance of the subject-company, transactional reliability, management capability, business integrity and scale, banking relationship, payment history and trade/bank references, among others. Our enviable reputation for integrity and credibility in this line of business rests on several significant factors. Our unmatched local analytical expertise, the quality of our credit report research and, perhaps most importantly, our unbroken tradition of impartiality in expressing opinion on the subject’s creditworthiness, business reputation and management integrity. We have been visited by a number of local and international financial institutions, private and institutional investors, suppliers, creditline guarantee institutions and embassies in Nigeria, and all of them are satisfied with the quality of our Company Credit Report and other services offered by our company.